Busandcoachinsurance.net can reveal that Megabus has recently launched a mobile version of its current UK website. The new device is specifically designed to be accessed via a mobile phone and offers many benefits to potential passengers including easy ticket booking, reservations management and travel information. The idea to create the mobile website was backed up by research from Ofcom which discovered that a quarter of adults and over half of teenagers now own a smartphone. Megabus later carried out their own study revealing that the number of people using an iphone to access www.megabus.com had risen by 186% between 2011 and 2012. The new website supports all mobile platforms and can viewed on tablets as well as smartphones. When visiting the site from a hand held device consumers are automatically redirected to the mobile version. They are then able to access service updates, station news and manage bookings even when they are not at home. However, this is not the first time that Megabus has successfully used modern technology to achieve a competitive advantage! Last October, Twitter feed @megabusuk was launched in order to keep passengers up to date with essential travel information and offers. Prior to this, the company was also one of the first in the budget travel industry to launch a website that allowed customers to book online and buy cheap last minute fares for as little as one pound. Megabus services are now used by around 5 million customers in the UK and operates in 60 different locations across the country. 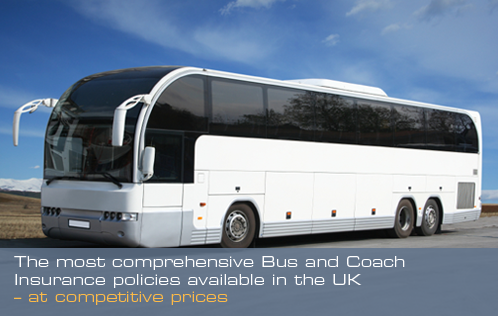 For a competitive bus, minibus or coach insurance quote call our team now on 0800 980 3425.